Oh the copywriting nightmare that this is. And we’re thinking.. not so deliberate. Yet quite obvious. 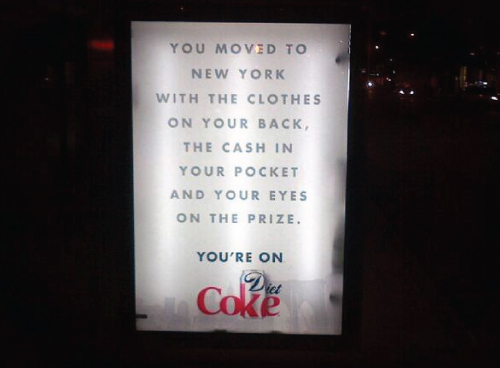 Diet Coke‘s new(ish) campaign “You’re On.” takes a interesting, um, wrong turn. Maybe you’ve seen the Taylor Swift commercial – darling Taylor writing song lyrics, scribbling in her notebook, taking the stage. Taylor Swift. You’re on. 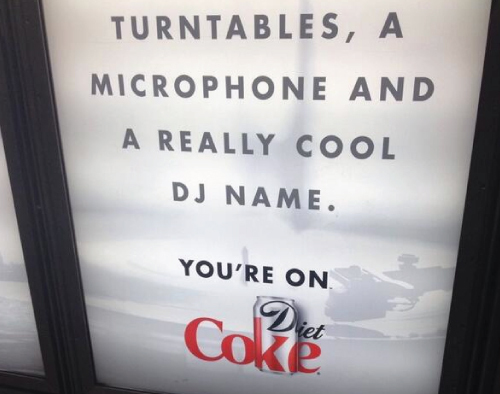 And you drink Diet Coke. Similarly, but really not so similarly, if you live in New York City. 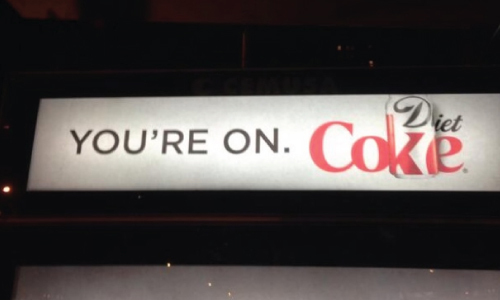 You’re on.. Coke. While drug use really isn’t cool nor funny, what is are the Twitter comments coming out of this magic misqueue. Examples below. Check the full story out of NYC right here.